How I Met Your Mother is a unique take on the standard sitcom format. Told mostly through flashbacks, the show is framed around Ted Mosby telling his children the story about how he and their mother met many years prior. The show focuses on a younger Ted Mosby and the funny antics he and his friends get involved in on their quests for love, happiness and fulfillment. Ted Mosby is the main character and a romantic sort with a razor sharp wit and a propensity for getting into awkward situations. Lily and Marshall are his college friends and, at one time, roommates. They provide a real backbone of warmth to the show with their goofy antics and deep love for one another. Robin is a new addition to the group of friends and is also a one-time romantic interest for Ted. Robin's Canadian heritage and very unfeminine demeanor are the basis of many humorous situations on the show. Last, but not least, is Barney, a slick womanizer who hides a gentle heart behind his smirk and rapid fire one liners. Over the course of the show, the five friends get themselves involved in a wide array of hilarious situations. From Ted stealing a restaurant decoration to show his love for Robin to Barney's endless array of quips and his string of conquests to the amusing disaster of Lily and Marshall's wedding day, the group experiences many funny events. Yet, there is also a strong heart to the show as it deals with dramatic themes like break-ups, the death of parents and struggles with infertility. The flash forwards as Ted talks to his kids are also amusing in their own right as the children, despite their short amount of screen time, even have well-developed personalities. Getting to see the futures of your favorite characters also provides a counterpoint to the comedy and drama of the show's present time line. Overall, the balance of wicked humor with a strong emotional core in How I Met Your Mother creates a show that will make you laugh, make you cry and definitely give you a few good laughs. In the second part of the series finale, Ted's story of how he met the kid's mother comes to a close. In the series finale, Ted finally finishes telling his children how he met their mother. With only 30 minutes before it's time to walk down the aisle, both Barney and Robin begin to suffer anxiety attacks about their upcoming nuptials. Meanwhile, Marshall and Lily rewrite their old wedding vows. When Gary Blauman makes an appearance at the wedding, the friends are catapulted into a frenzy as they each remember an encounter with him. Lily leaves during the middle of a fight with Marshall, who then asks Ted and Barney to help him find out where she went. Lily and Robin get into an argument on the morning of the wedding and Barney is overwhelmed by which suit to wear. Meanwhile, the gang watches a movie Ted has forbidden them to see. On the morning of the wedding, Barney is suffering from a hangover, so the gang rallies to find the unique ingredients for the Stinson Hangover Fixer Elixir. During their search for a drunk Barney on the day of the wedding, Robin and Ted reflect on past relationships. Meanwhile, Marshall and Lily finally resolve their issues and Barney befriends two young guys eager to meet women. On the 200th episode of the series, The Mother reveals how she met Ted and her whereabouts for the past eight years. Ted and Robin get Barney to spill all his secrets while he's drunk. In their ongoing slap bet, Marshall plans to deliver the ultimate slap to Barney. A guy at the wedding deliberately causes problems between the gang at the wedding, and Marshall finally makes his arrival at the Farhampton Inn. Barney is adamant about having his rehearsal dinner at a laser tag arena, despite Robin's disapproval. Meanwhile, Ted upsets Lily after failing to keep a promise. Marshall tries to get Marvin to sleep by telling him bedtime stories about the group of friends. When Barney's father arrives at the hotel, Barney's scheme unnerves Robin. Meanwhile, Ted is convinced someone framed him by messing up a wedding-related duty. In a flashback episode, the gang contemplates the future of the Ted, Robin and Barney love triangle. Meanwhile, Barney accepts challenges proposed by Lily and Robin. Barney is caught between Robin and Loretta's dispute. Marshall and Daphne deal with a stowaway on their road trip, and Ted and Cassie try to enjoy their time at a lighthouse. Ted, Barney and Robin try to help Marshall by sneaking into Lily's room to delete a disturbing text from Daphne. Ted makes a poor decision for his date for the wedding. Meanwhile, Barney and Robin get into a tiff with their minister, and Marshall learns more about his driving companion, Daphne. Marshall acts as judge, via Skype, as Barney confronts Ted for still having feelings for Robin. Lily is annoyed to be the only one aware of Ted's list of things he wants to do in New York before he moves to Chicago. Meanwhile, Robin and Barney realize they have very little time together before the wedding. Marshall changes his plans, while Lily questions Ted about his feelings for Robin. In the ninth season premiere, as Robin and Barney make their way to Long Island, they make an unexpected family discovery. Meanwhile, Lily thinks Ted still has feelings for Robin. Before making their way to Barney and Robin's wedding, Ted invites Lily to see the house he's finally finished fixing up. Meanwhile, Robin and Barney's night of relaxation doesn't go as planned, and Marshall takes the baby on a last-minute trip to Minnesota to see his family. Robin is determined to find her "something old" she buried in Central Park years earlier for the wedding. Meanwhile, Marshall and Lily ask Ted to help them pack for Italy, and Barney bonds with Robin, Sr. The gang plans the ultimate bachelor party for Barney. Ralph Macchio and Frances Conroy guest star. Lily is afraid of Marshall's response when The Captain asks her to move to Rome for a year to be his art consultant. Future versions of Ted and Barney attempt to persuade Ted to go see Robots Versus Wrestlers. Meanwhile, Marshall challenges Robin to a dance-off. When Robin asks Barney to sell his bachelor pad so they can build a home together, Barney is reluctant and sabotages the situation. Barney uses the infamous playbook, that was supposed to be destroyed, to help Ted in his search for love. Meanwhile Marshall draws attention at Lily's gallery opening. When Ted receives an unexpected call from The Captain, the gang is reminded of the last time they saw him. Ted is hesitant to end things with his crazy girlfriend Jeanette. Meanwhile, Robin bonds with Marvin after finally holding him for the first time. Barney discovers the elusive episode of Robin's "Underneath the Tunes" as Robin Sparkles. Meanwhile, Marshall and Lily are concerned about Ted's new girlfriend. Barney encourages Ted to continue his relationship with his girlfriend, despite Ted's lack of connection with her. Meanwhile, Robin must adjust to wearing the ring. Episode 13 - Band or DJ? When Robin discovers Barney failed to ask her father for permission before proposing, she demands he seek his approval. Meanwhile, Ted hides his emotions and keeps himself busy by planning the wedding. With Christmas just around the corner, Ted can't decide if he should tell Robin about Barney's intentions to propose to Patrice. Meanwhile, Marshall and Lily struggle being away from Marvin during an overnight trip. The grand opening of the GNB building (which Ted designed) is about to take place and Ted decides to smear it in the face of his first architecture professor who told him that he'd never be an architect. Robin is skeptical of Barney's relationship with Patrice. Meanwhile, Marshall discovers his mother is moving forward in her quest for love. Robin will do whatever she can to get Barney back. Marshall goes head to head with his old friend/new nemesis Brad in the biggest case of his career. Meanwhile, the gang reminisces about brushes with the law, leading to a debate over who was the biggest delinquent as a teenager. Marshall refers his former classmate for a job at his law firm, but when the interview goes awry he's left doing damage control. Robin is having a hard time breaking up with Nick so Barney steps in. Lily and Marshall are in desperate need of some private time. Ted and Victoria must decide what the next step in their relationship is going to be. Episode 4 - Who Wants to Be a Godparent? Lily and Marshall test their friends to see who would make the best godparents. Lily and Marshall find out the reason why they can't get a nanny - Barney is using it as a scheme to meet women. The friends are at war after Barney's elaborate pre-nup influences the other guys to make relationship changes. Quinn decides to draw up her own. Maybe they'll get the ending right this time. Harris had no patience for Woods' low-class social media behavior. It's been nearly two years since the finale of HIMYM left a bad taste in its fans' mouths, and now its creators are working on some new projects that will, hopefully, make those fans forget the past. Two new Netflix projects announced casting news this week, and the names attached to the projects are probably not who you'd expect. The actor tweeted today for the first time since last night's show. Is this where Ted got the pineapple from?! Neil Patrick Harris married his long-time partner David Burtka in a small, secretive Italian ceremony. We have a legen-wait for it-dary proposition for you...would you watch a late night talk show hosted by Barney Stinson? For awhile, it looked like the legacy of "How I Met Your Mother" would live on, as CBS ordered pilots of both a "HIMYM" spin-off and a new sitcom starring Alyson Hannigan. When the network announced its fall schedule this week, though, all traces of "HIMYM" were absent. How I Met Your Mother is currently available to watch and stream on CBS. 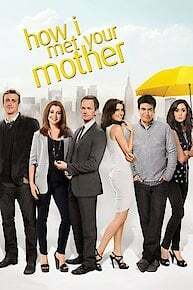 You can also buy, rent How I Met Your Mother on demand at FX+, Amazon, Hulu, Vudu, FX Networks, FuboTV, Sling, FandangoNow, Google Play, iTunes online.